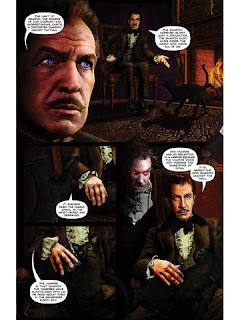 Volume 8 of the graphic novel series Vincent Price Presents features classic gothic horror! One of classic Hollywood's most famous scary men, Vincent Price made a name for himself in classic mysteries and thrillers throughout the 1940s, 50s and 60s. Now Vincent Price Presents comes to Bluewater Productions as their 1st ongoing monthly series. The series will feature some of Price's films as well as developing new frightening ones with his estate. Welcome back to the macabre world of Vincent Price. Stories include Tell All Tales, The Return of Doctor Phibes and more! 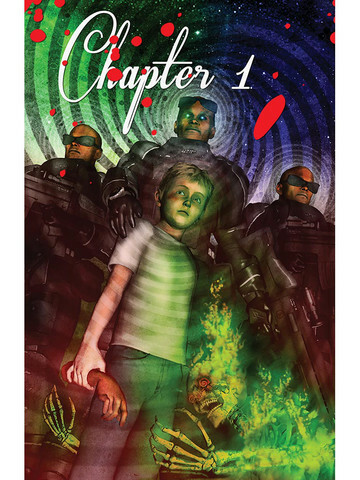 First, I want to give a shout out for the cover on Volume 8. It has Price in a role he is remembered for: Dr. Phibes. I was so pleased to see that!The first story is “Vamp Camp.” Vincent Price leads it in, talking of shadows, on walls and even in our minds. And that vampires have always been with us, a shadow, but it cast no reflection in mirrors as has no substance of a soul, so any shadow seen on a wall is not the vampire’s, but ours. Developed as the feeding class so they never run out of blood and some are being carted in a truck. The vampires live in condos, where the temperature is controlled and where a crypt-like room is, so vampires can sleep during the day, all of this protected by armed guards. The creepiest part of this story concerns foster children as vampires still wish for children and to feed off of. The artwork is different, almost like smudged, or maybe a form of shadowing? It reminded me of those painting where you see Parisian landscapes in smudge colors. “The Tell Tale” tells what happens when a woman as a miscarriage done on purpose to get rid of a pregnancy so her husband doesn’t learn of her cheating. She learns no bad deed goes unrewarded. The artwork for Chapter 3 is pale colors, in white, yellows, blues, and browns, with sounds in deeper colors. Last is “The Cowboy.” I am not sure a better title could have been assigned to this story set in the Old West. It is about facing fears when one woman lives in fear every day after her husband was violently murdered after he insured she and their son were safe. Nothing supernatural in this storyline except for the killer’s name, Soulless Sam. And I think he was only called that for his killings. The artwork reminded me more of anime in the way it was done. Each volume just gets better and better, and this on is no exception. 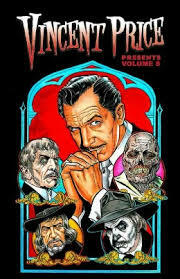 I think any fan of Vincent Price and good stories besides comics, will enjoy this.